At TLB, the dinosaur books are some of the most popular books on our bookshelves. From generation to generation, dinosaurs never go out of style, always finding their way into public fascination and popular culture! Some examples: Gertie the Dinosaur (1914), The Lost World (1925), The Flintstones (1960-1966), The Land Before Time (1988), Dinosaurs (1991-1994), Barney & Friends (1992-2009), and Jurassic Park (1993). 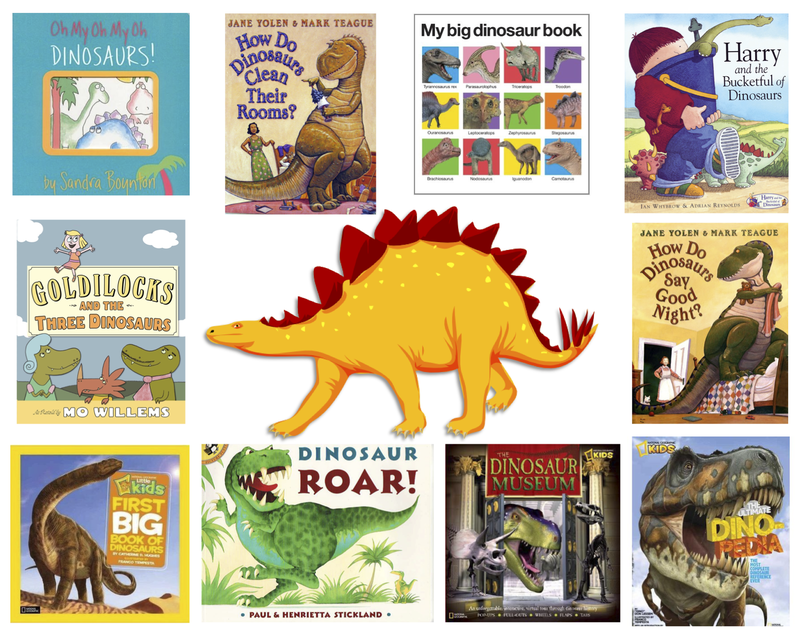 Here’s a list of 10 of my favorite books about dinosaurs for you to share with your children!